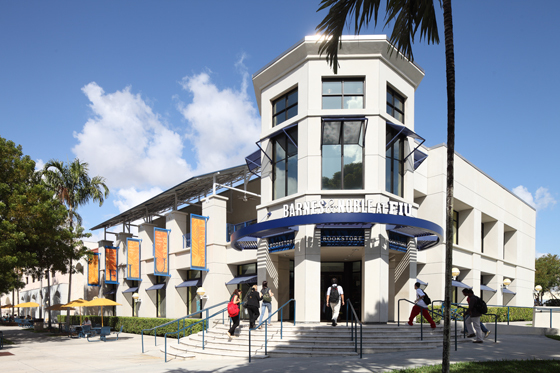 Barnes & Noble College has been named Outstanding Business Partner of the Year by the National Association of College Auxiliary Services (NACAS). Founded as a one-stop resource for networking and information, NACAS members are comprised of auxiliary service professionals serving higher education at over 825 colleges and universities. Awarded at the NACAS Annual Conference recently held in Atlanta, Georgia, it marks the second time Barnes and Noble College has received the award, becoming the first partner ever to do so. 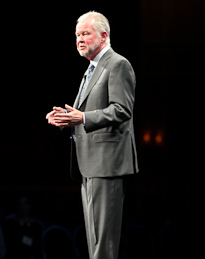 Patrick Maloney, Executive Vice President & Chief Operating Officer for Barnes & Noble College. 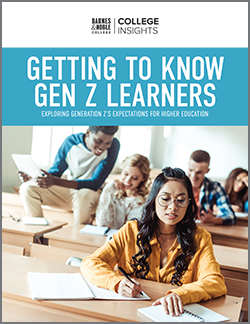 The power of effective partnership strategies has become particularly valuable in the current financial climate as many colleges and universities have looked for help to develop new revenue opportunities, cost efficiencies and deliver greater value. 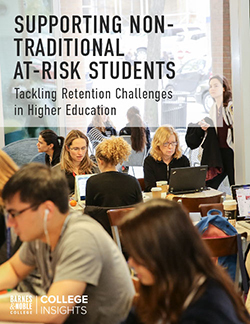 In the College Services article, Maloney points to the importance of a best-practices philosophy at the campus bookstores to ensure maximum store performance and customer satisfaction. “We do that by having our finger on the pulse of the latest textbook and merchandise trends, investing in cost-saving productivity tools, and leveraging the most advanced retail technologies to enable our campus partners to deliver an unmatched experience at their schools,” he said. The NACAS membership is made up of concession, bookstore, laundry, parking and retail providers covering everything from transportation, food services and technology. According to the most recent statistics available from the U.S. Department of Education, it’s a market worth $34 billion in college auxiliary services within the United States. 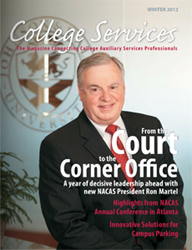 Click here to read the the article, NACAS Honors Barnes & Noble College, in the Winter 2012 issue of College Services magazine.